IRON MOUNTAIN — The Daughters of Isabella Congress Circle 367 will meet at 1 p.m. Thursday at the Immaculate Faith Formation Center in Iron Mountain. 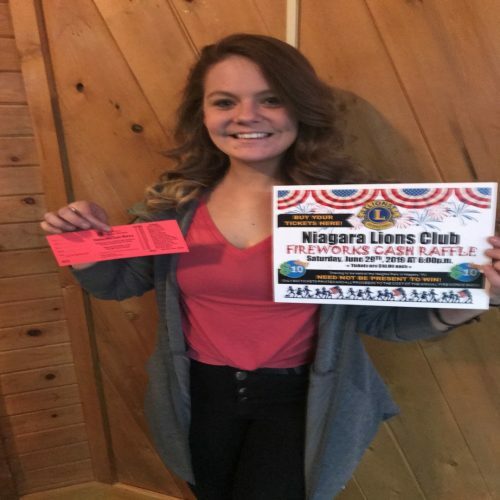 Marlene Johnson will serve as hostess. 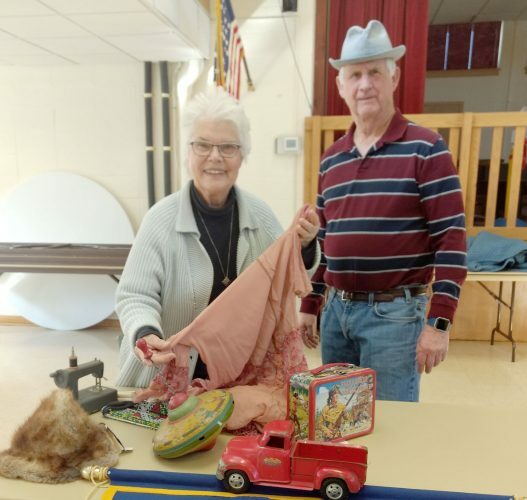 IRON MOUNTAIN — The Uren-Cooper-Johnson American Legion Post 50 of Iron Mountain will host a monthly cribbage tournament to start at 1 p.m. Saturday, April 20. Cost is $20 a team. Those interested can sign up at the bar inside the post. IRON MOUNTAIN — The PEO Chapter AN will meet at 6 p.m. Monday at the home of Tracy Husing. Members are reminded of the salad/sandwich fundraiser at the meeting. Hostess is Tracy Husing, with Lorraine McMillan as co-hostess. 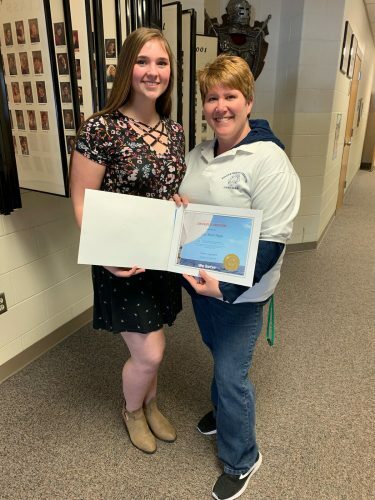 Norway-Vulcan-Loretto Lions Club secretary Laura Doney, right, presents Mary Slagle with a certificate of appreciation for her diligence and service as Leo Club president. Leo Clubs provide the opportunity for young people to be positive agents of change and produce leaders of tomorrow. IRON MOUNTAIN — The National Active and Retired Federal Employees Association will have lunch and a meeting starting at 12:30 p.m. Tuesday at Maple Creek Restaurant in Iron Mountain. All are welcome. IRON MOUNTAIN — The Dickinson County Hospital Retirees will meet at 11:30 a.m. Friday, March 29 at Storheim's. IRON MOUNTAIN — Former telephone employees will meet at 11:30 a.m. Monday, April 1, at Holiday Kitchen restaurant in Iron Mountain. All former telephone employees are welcome.